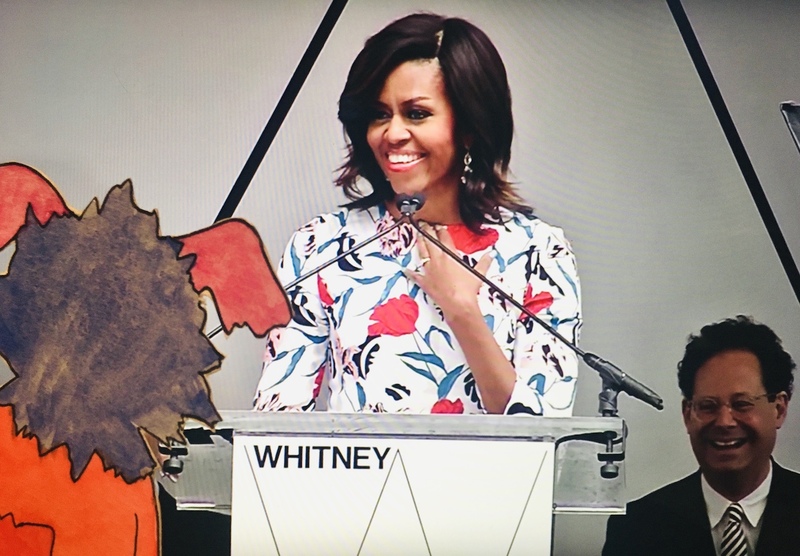 On April 30, 2015, at the dedication of the Whitney Museum of Art’s new building, Michelle Obama made an ask to museums and cultural centers. Acknowledging issues around race and class clouding children’s views of who belongs in museums and cultural spaces, Michelle asked for these institutions to open their doors and actively engage and invite children, particularly those from marginalized communities, into their spaces. This means considering accessibility as it relates to museum pricing, educational programs, community outreach, curatorial and beyond. Marabou highlights their favorite part of the speech below the video. “You see, there are so many kids in this country who look at places like museums and concert halls and other cultural centers and they think to themselves, well, that’s not a place for me, for someone who looks like me, for someone who comes from my neighborhood. In fact, I guarantee you that right now, there are kids living less than a mile from here who would never in a million years dream that they would be welcome in this museum. Marabou thinks museum education departments should return to these words when developing new school and children’s programming. It’s not enough to think about intellectual development to make sure programs are appropriate for certain ages and learning levels. Programming must also consider the variety of children who will visit the museum, consider the life experience they bring to a museum visit, and whether or not the content, space, and program make them feel embraced and included or uncomfortable and like an outsider. Michelle Obama’s thoughts can also apply to museum programming in general. If people have grown up feeling that museums are not for them, why would they, should they, feel differently as an adult?